How Can I Get SSI Disability? There is another article on this website that is fairly similar to this one titled, “How You Qualify For Social Security Disability Benefits.” So you may be wondering why we’ve written this separate article on Supplemental Security Income (SSI). The short answer is that while Social Security Disability Insurance (SSDI) benefits and SSI disability benefits are both disability programs with the Social Security administration, they have different requirements to qualify for benefits under each program. First, let’s look at the difference between SSDI and SSI. Social Security Disability (SSD or SSDI) is a disability insurance benefit program administered by the Social Security Administration (SSA) that falls under Title II of the Social Security Act. SSD is available to any individual who has enough coverage credits. To have “insured status” – that is, to have sufficient coverage to be eligible to receive Social Security disability insurance benefits – a claimant must have paid enough Social Security taxes earned enough “work credits.” Credits are earned by working and paying FICA taxes. You must have worked long enough and earned enough credits to be eligible for disability benefits. SSD benefits are paid out of the Social Security trust fund. Supplemental Security Income (SSI) is another disability benefit program that is also administered by SSA. [Interesting side-note: Individual states formerly ran their own low-income disability programs as part of their general welfare programs until President Nixon worked to federalize these programs into the U.S. SSI program in 1972.] SSI falls under Title 16 of the Social Security Act and is funded by the general treasury, not the Social Security trust fund. There is no work requirement for SSI benefits. SSI is available to disabled claimants who have never worked and to those who have not earned enough work credits to qualify for Social Security disability insurance. However, eligibility for SSI is still subject to income and asset limits. 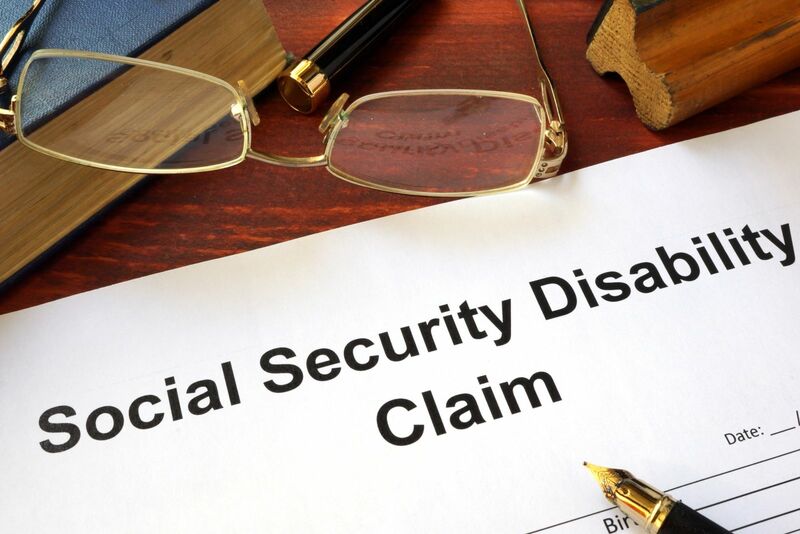 SSI is also available to individuals who worked in the past and were once eligible to receive Social Security disability but are not eligible any longer because they have not worked in a long time (and, thus, their coverage has lapsed). It is also available to children who are disabled and whose families have low income and assets. SSI is $710 per month in 2013, but may be reduced if someone is helping the claimant financially. As stated above, SSI also has income and asset requirements. For more information on SSI, look here. Note: It is possible to receive both SSDI and SSI benefits, but only if you meet all of the requirements for both programs and are found disabled by the Social Security Administration. Learn more about the basics of SSI. To apply for SSI disability benefits, you should visit your local Social Security field office. The application will be taken by a Social Security claims representative. Claims representatives work at local Social Security field offices. In addition to performing other duties such as processing retirement claims, claims reps take SSI disability applications. After an SSI disability application is completed, it sent off to another agency that specializes in doing nothing but processing medical determinations on SSI, SSDI and Medicaid claims. In most states, including Florida, this agency is known as Disability Determination Services, or DDS for short. When an SSI disability application arrives at DDS the file is immediately assigned to an individual who will process the medical portion of the claim. This individual is known as a disability determination specialist, or disability examiner. After being assigned an SSI claim, the claim examiner will send out medical releases to the claimant’s treatment sources (hospitals, clinics, doctors, counselors, etc. ), requesting the claimant’s medical records. Because many medical providers (especially large hospitals and practice groups) are slow when it comes to copying and mailing records, sometimes the time to process medical records requests can take several months. Once the records finally do arrive they will be evaluated by the DDS disability examiner. The examiner may then consult with a physician and/or psychologist who act as a medical consultants. Can You Collect SSD and SSI at the Same Time? When an claimant files for disability, the Social Security office will review the claim to determine whether the claim will be for Social Security disability insurance benefits, SSI disability benefits, or both. Filing for both SSD and SSI at the same time is known as a concurrent disability claim. A concurrent claim may be appropriate for those individuals who have sufficient quarters of coverage for SSD benefits, but whose monthly benefit amount might be particularly low. What Determines Whether You Will Receive SSI? Whether your disability claim will be approved really comes down to what evidence is contained in your medical records. That’s why it is so important continue treating with a medical doctor on a consistent and regular basis. Then you will have the medical evidence to support a favorable determination in your claim. Keep in mind that older, more dated records are not enough to win a disability claim. The examiner also needs to have access to more recent records (those that are no older than 60 days) in order to determine whether you are currently disabled. For example, it would not be enough to have a 5-year old MRI evidencing a herniated disc. You would also need to show more recent records, such as recent treatment notes from a pain management doctor, to evidence the fact that your disability is current. It is always nice to have opinion evidence from a doctor who supports your claim. Your treating physician’s notes may have a large impact on whether you receive SSI. In a perfect world, your medical records should indicate what your physical and mental limitations are. What you are capable of doing (or limited in doing) is referred to as your residual functional capacity. Lean more about the medical records required for disability benefits. How does your residual functional capacity (RFC) play into whether you will receive SSI disability? Your residual functional capacity will be first be evaluated to determine whether you are capable of going returning to any of the jobs you did in the past. If it is determined that you cannot return to your past work, your claim will be evaluated to determine whether you are able to perform “other work” of some kind, given your age, education, and skill set. Most SSI claimants who are denied SSI benefits are turned down on the basis of being able to do some other work; in other words, the DDS decides that although the claimant is not able to do his or her prior job, he or she is capable of doing some form of work other than that performed in the past. Learn more about the RFC disability process. Do You Need a Lawyer for an SSI Case? The SSI disability process is indeed a fairly difficult one to navigate, except in the most clear-cut cases. Most SSI applications are denied at the initial stage. So, to win most SSI claims, you must be willing to appeal the initial decision and go to a hearing. Even if you have just applied for SSI, a lawyer may make a difference in the claim. Studies have shown that claimants represented by attorneys win more often than claimants who represent themselves. If your SSI case has been denied by the SSA, you should consider hiring a lawyer to represent you at the hearing. The lawyer will help organize your medical records and get the opinion evidence you need to prove that your medical impairments are disabling.